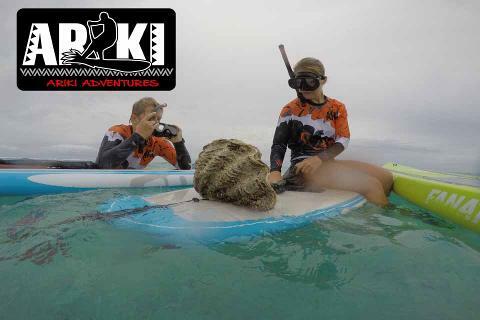 In this 2 hour tour we teach you to SUP and take you out to some fantastic snorkelling spots in our lagoon. No experience required, you just have to be able to swim. 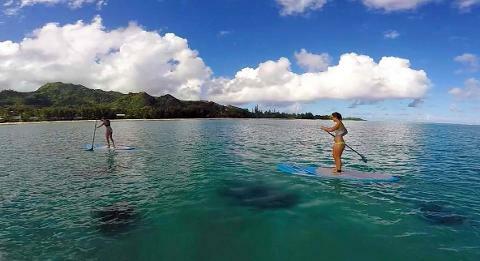 You'll be attached to one of the latest Fanatic Fly glass boards which has fantastic glide and stability. 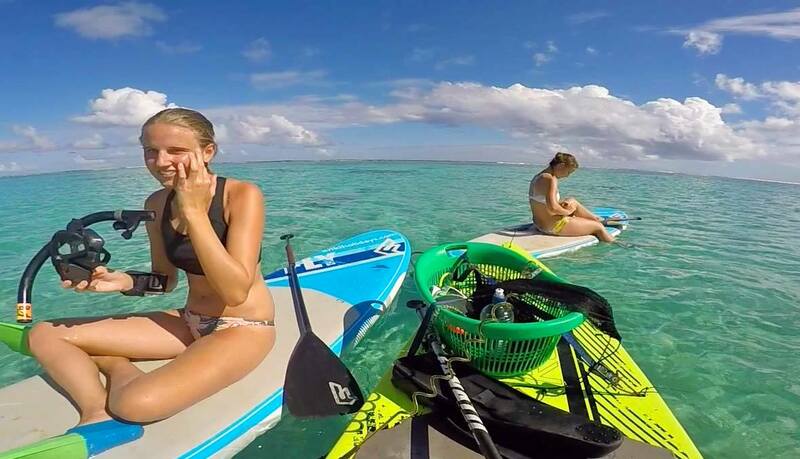 This is a tour you'll really enjoy out on and in the water.